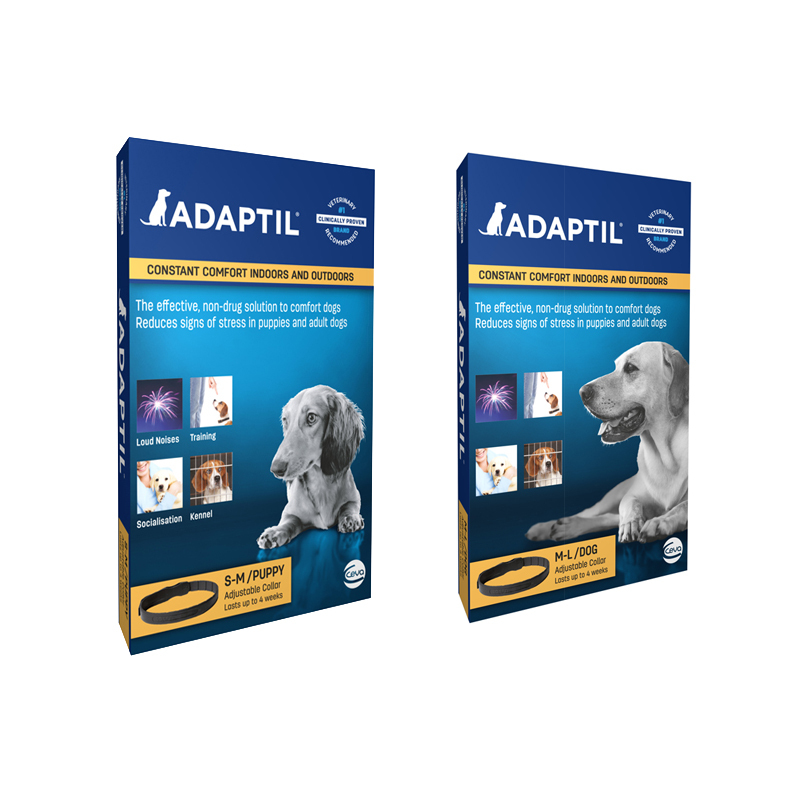 The Adaptil Calm On the go Collar is easy to use and convenient. It helps your dog stay calm and adapt more easily to certain situations, like loud noises, as it releases the dog appeasing pheromone constantly, even when outdoors. It is a great product to use during training and boarding to help alleviate the stress associated with these situations. Clinically proven and vet recommended. The dog’s body temperature and close contact warm the collar and encourages the diffusion of pheromones into the local environment. It is essential the collar is in close contact with the dog’s skin at all times. Staying home alone (especially for outdoor dogs). medium/large dogs (fits neck up to 62.5cm, usually suitable for dogs up to 50kg). Remove the collar when shampooing but leave on at all other times.